The epitome of glamour and elegance, this beaded tulle ballgown wedding dress from Stella York is ideal for the modern-day princess bride! 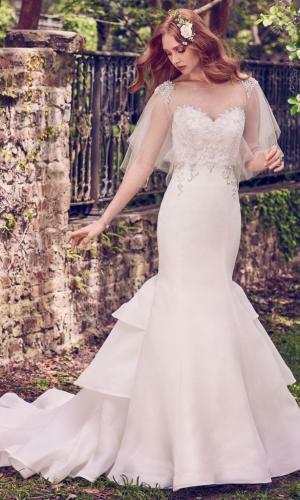 Highlighted with a V-neckline and figure-flattering dropped waist, the bodice of this gown is adorned with beaded lace, with stunning beaded scallops around the neckline drawing attention to your face. A full, ballgown skirt is the statement-making feature of this style, giving a truly princess-worthy feeling with its sweet blush shade. The back of this style features a beaded, double-strap back, adding a trendy element to this classic style.